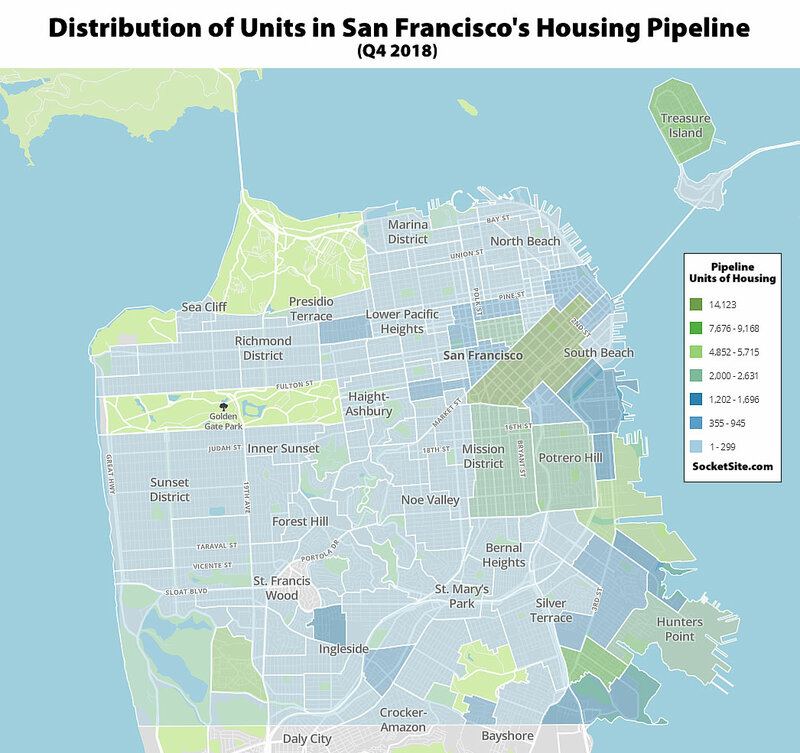 With the number of newly proposed units of housing to be built in San Francisco having outpaced the number of units that recently finished up construction for the fifth quarter in a row, the overall pipeline of apartments and condos under development in San Francisco ticked up to a record 70,960 in the fourth quarter of 2018, which is 5,710 more than at the end of 2017. And for the fourth quarter in a row, the number of units in approved developments which have already broken ground and should be ready for occupancy within the next year or two has increased, from 7,500 in the third quarter of last year to nearly 8,100 at the end of 2018, which is within 10 percent of the current cycle peak of 8,800 set in the third quarter of 2015 and 41 percent above average for the past ten years. At the same time, while the number of net-new units of housing for which building permits have either been issued, approved or requested increased by 2,700 to 16,800 at the end of last year, the number of units in projects that have already been approved but not yet permitted (which includes the majority of the 10,500 units by Candlestick, 7,800 units on Treasure Island and 5,680 units at Parkmerced, projects which have overall timelines measured in decades, not years) also ticked up by 1,100 to a record 33,500. 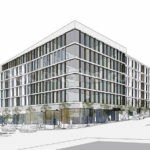 And with proposals for another 12,600 units of housing currently under review by the City’s Planning Department, which was bolstered by the anticipated passage of San Francisco’s proposed Central SoMa Plan (which has since been challenged), San Francisco’s Housing Pipeline now totals a record 70,960, including 13,600 units of “affordable housing” which are to be offered at below market rates, according to our latest accounting of Planning’s database as newly mapped above. Why is St. Francis Wood in grey? There are no net-new units of housing under construction, or in the pipeline, within the boundaries of St. Francis Wood. Interesting choice for color grading. Yikes. Yeah. It might be worth a re-do. One gets the impression that there’s housing in the pipeline (and a lot!) in Golden Gate Park, Lands End and the Presidio. Does SOMA have more than the Mission/Potrero Hill? Agreed – horrible cartographic effort here. In addition to using green for parks and blue for water, when green and blue are also part of the data spectrum … why are GG Park, the Presidio, Lands End and McLaren Park a *different* green than Lake Merced Park, Buena Vista Park, Mt. Sutro Reserve, etc.? Yeah, it’s so inconsistent to the legend for one and the colors don’t lend any help. Bigger picture question: Do you think the worst is over in terms of housing unaffordability in SF? 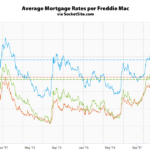 The pace of housing is remarkably above average, as noted above. Whether it’s because the average sale price makes the math work that much better, or because SF Gov’t realizes it messed up for the last 40 years and is scrambling to recover, I’m not sure. It seems like there is a heightened awareness that they need to maintain this level of construction (or close-ish). Another factor is that the tech epicenter may become more distributed to Denver, Portland, Austin, Seattle etc and thus the next tech boom won’t be so concentrated here. Probably not. The situation is so dire that we are barely putting a dent in it here. Add to that, other cities are not even coming close to what we are doing here. In a housing crisis this wide-spread every community must pitch in. SF is carrying the weight of this compared to the surrounding cities. Something seems wrong here — too optimistic a projection about near-term future actual production. At least, it doesn’t seem consistent with all the approved and entitled projects that are just lying idle or have been put up for sale. While the number of homes under construction has ticked up to 8,100, keep in mind that “the number of units in projects that have already been approved but not yet permitted…[has] also ticked up by 1,100 to a record 33,500” (and new proposal volume has dropped). It’s not surprising that the proposal volume as dropped given where we are in the cycle. From Page 14 of the official SF Planning report (link in bio), it looks like around 2K units were built per year from 1998 to 2017. Even if we’re able to maintain 3K per year, that’s a sizeable increase in supply. And yes, the rest of the region needs to step up, too. Hopefully some of the state-wide legislation does its job. The 20-year average has been around 2,300 NWT-new units of housing delivered annually, as we first reported last year. And while new proposal volume is down, the number of pipeline units being newly approved/entitled is still running well above the 20-year average of 2,940 per year. In relation to her expression of misgivings about the Raiders possibly playing their 2019 season at China Basin, Mayor Breed has cited, among others, some 1400 units of housing “about to break ground” (presumably in the immediate area in 4th Q. this year). What is she talking about? Is Pier 70 actually expected to reach that level of preparation by then? No. That would be Mission Rock (the timeline for which shouldn’t catch any plugged-in readers by surprise). Of course, after years of waiting for it to get started, I forgot all about it. Is construction actually starting? Very exciting if true. More so than a Harper signing?